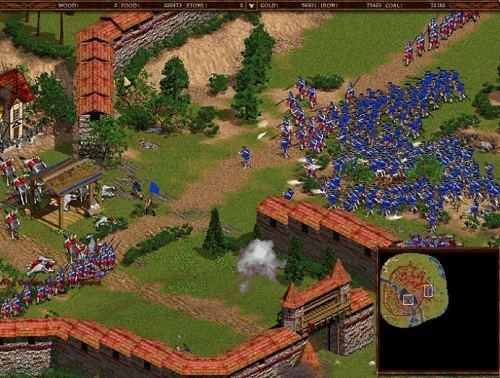 Cossacks: European Wars is an RTS game developed for Windows and released in 2001. 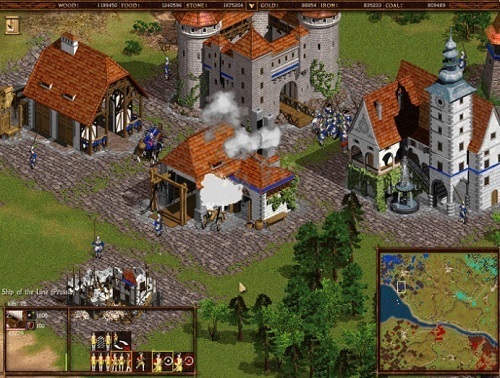 The game is very similar to Age of Empires and is well known for its large number of units which are available. The game also has a number of expansions available which are available in one collection, the Cossacks Anthology from GOG. The game features plenty of historical battles and 16 civilisations for players to use (20 with all the expansion packs) so there is no shortage of different styles for players to explore. The original game has 5 lengthy, historically accurate and tough campaigns to push strategy fans to their limits. Cossacks uses six different resources (food, wood, gold, iron, coal and stone) which are collected throughout the game world from various sources by your peasants. Having a stockpile of your resources is important since there are penalties for not carefully managing them. Running out of food for example will cause a famine in your civilisation and result in your units dying while running out of gold will cause a mutiny. Combat has some uniqueness to it in that players can either group units into small formations or simply let them run wild into battle. This feature opens up some great strategy as you create formations to carefully attack or simply try to overwhelm your enemies. Your army can have a wide selection of units including melee foot soldiers, ranged fighters, battle ships, cavalry and a number of artillery units for siege purposes. With so many units and great variety in the available civilisations there is no shortage of options for players to explore as they advance through the hundreds of missions in the campaigns. It’s hard to fault a great game that definitely takes inspiration from Age of Empires but changes up the formula more than enough to be a great game in its own right. Huge list of units to use. Plenty of civilisations to try with unique units. Unique penalties for not carefully managing your resources which adds realism. Very similar to Rise of Nations and Age of Empires. Good complexity for strategy fans but still easy to get into.